the canDIshhh tales: Pria's Kitchen: A la Carte on Demand! I honestly don't remember where I first encountered Pria's Kitchen, but I do remember that I followed her on Instagram. I then asked Pria to email me her menu - I kept it in preparation for our New Year's Eve dinner last year. It was only last Saturday night when we celebrated early Father's Day with my in laws did we push through with the order. My SIL was the one who decided on the menu and did the ordering. I was very excited to be honest - because seeing Pria's IG feeds, made me salivate every singel time!! This is one of the BEST paella that I've ever tasted. 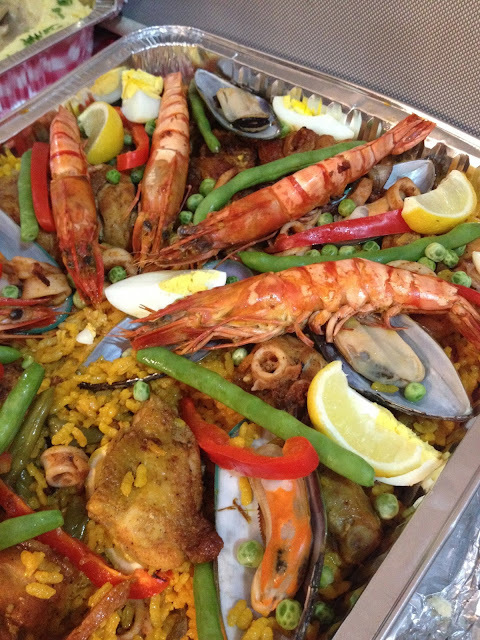 It's moist, full of flavor (as you can see the prawn, mussels, chicken, chorizo and pork pieces! They're huge!) and really delicious. I was impressed when I saw it since I saw the big pieces you can really taste the toppings and there's more for everyone. What I liked most about this paella was that the ingredients were not scrimped - it had a generous serving of all the toppings. It blended perfectly with the rice too because you'll get a perfect mix of rice and toppings! Really really good! This dish was also very good. Kailee and Connor in particular loved this. I found the taste, just right, the beef had a bite to it - the mashed potatoes was wonderfully soft and the gravy was perfect! It was just unfortunate that we ordered the salmon dish because this was put on the sidelines. I suggest that you order this or the salmon and not together, so you can appreciate the dish individually. This was the STAR of the night. It shone so brightly that we were all raving about it after every bite. We declared this as our favorite that night. What I liked most about the salmon was that it was cooked perfectly (and not overdone - even if we had to reheat it) AND that it was a fatty salmon. It being a fatty salmon, made all the difference. 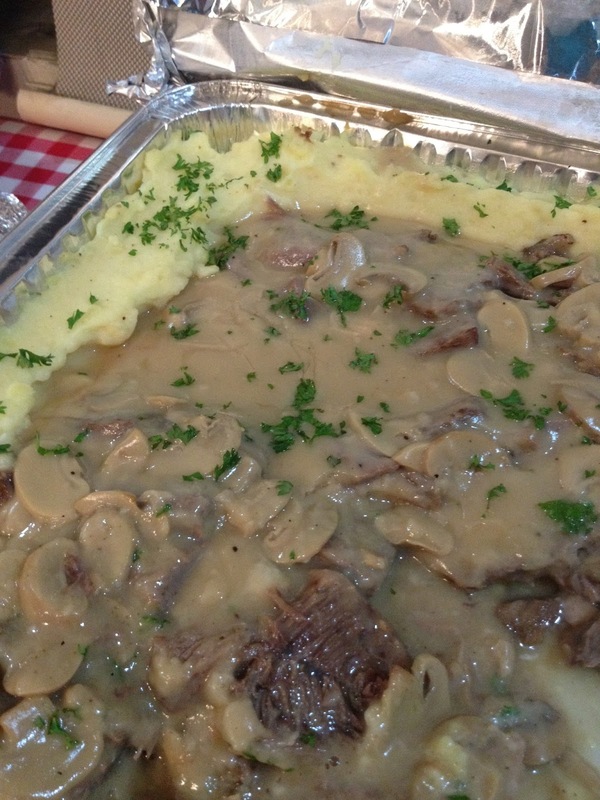 It was moist, soft and very very flavorful. I think Pria chose this salmon very well. 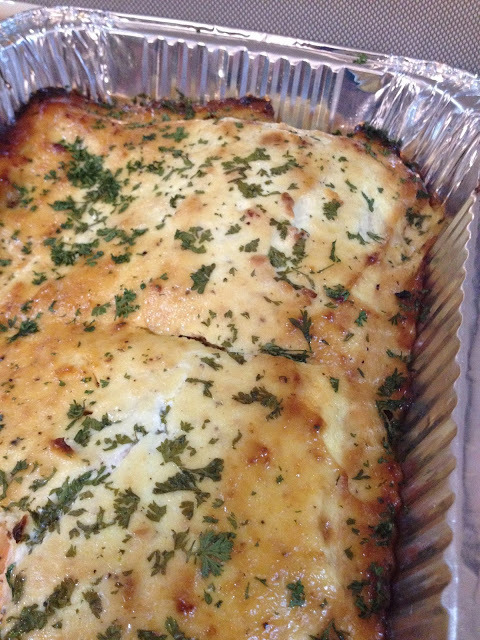 It wasn't malansa at all, and the garlic cream crust complimented the salmon perfectly - and I mean PERFECTLY! This dish stole the show. Hahaha! Since we were all raving about the Paella and the Salmon, this dish was a bit ignored by us - simply because it was at the end of the spread. I am partial to chicken and so I tried it. 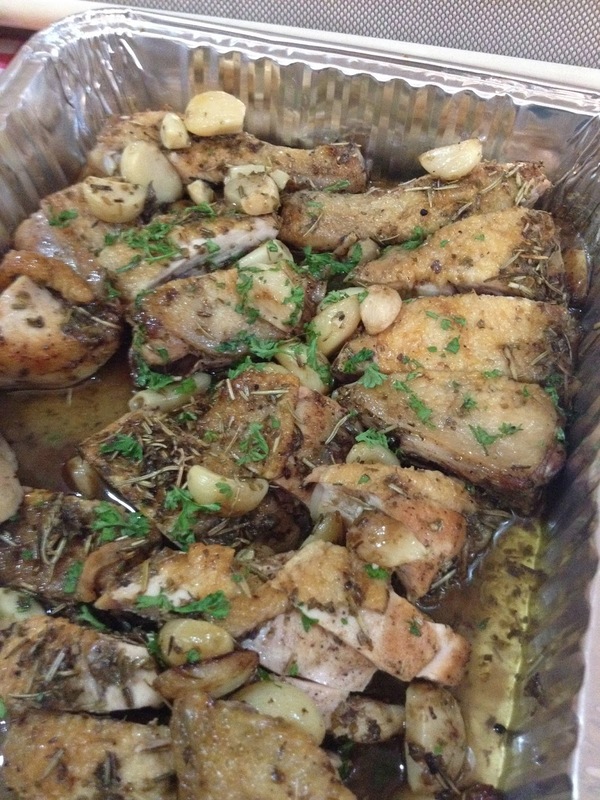 I liked the combination of herbs and the garlic pieces, but I found the chicken a bit dry. But overall - I'm sure this would have been a winner if we didn't get the salmon and the paella. Hahaha! Presentation wise, it was a winner. The dishes were prepared with love, good quality ingredients and they looked very professional and perfect! I liked that even if we had to reheat the dishes - they were still very good and not overcooked. We were so happy with the food and we couldn't stop raving about them all night! For sure we will order again. There are so many more dishes to try from Pria's Kitchen. I'm excited!! We definitely found a gem in Pria's Kitchen! You know, I always wanted to order from her from 2 years ago pa, but pick up in Makati is just so far. Seeing your photos makes me want to cry! inggit! Tina! It's really far, we're just lucky that my SIL lives in Makati. But mind you, last Saturday - it took them 2 hours to get to my house! OMGosh diba? Her food is really good, PROMISE!! 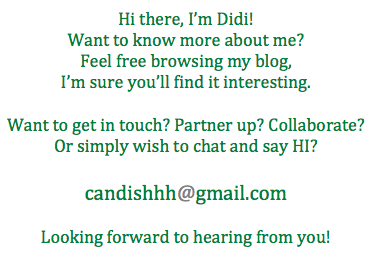 Hi Didi! What serving sizes did you get? Their menu says the medium serving is good for 8-10 while large is for 12-18. Grabe ang review mo! Sobrang convincing! The Paella, Salmon and Beef were all Large. The chicken was medium. We were only 7 adults and 5 kids + 3 yayas. Pwedeng pwede kung may budget si Office!! Her platters are not cheap ha, but they're quality food. As in QUALITY food.